December is busy in Bozeman; holiday festivities, the Bozeman Ice Festival and plenty of arts and culture round out the month. (Not to mention downhill skiing at Bridger Bowl and Nordic Skiing—or fat biking—at Crosscut Mountain Sports Center.) You’ll want to plan carefully so you don’t miss anything…especially December 1, when the holiday season starts off with a bang! December 1, 9 a.m. to 4 p.m. Here you’ll find handmade, unique works that aren’t just your everyday gifts. The craftsmanship and art is impressive: jewelry, clothing, pottery, and more! Enjoy live music, ornament painting and lots of good food. December 1, Activities start at 12:30 p.m. This annual affair is one of Bozeman’s most beloved events. The day starts at the Emerson Cultural Center where kiddos can make Gingerbread Houses until 4:15 p.m. From 2 p.m.- 6 p.m. enjoy live music and kids activities at the Bozeman Public Library. Santa arrives at the Emerson at 4:30 p.m. to lead the procession down Main Street. The holiday lights come on, food vendors fire up the grills and the town comes out to stroll the streets with family and friends! “Catch the Yeti” and win a free Yeti mug! This 5K run is a great way to get some winter exercise while supporting Bozeman schools. The route makes a loop down Babcock, up to Kagy Boulevard and back to Babcock for a well-traveled course. December 1-2, starting at 12 p.m.
Support Local Artists and Musicians (SLAM) brings you their winter showcase with a plethora of local art; ceramics, painting, metalwork, sculpture, photography, leather, textiles and jewelry, (to name just a few). 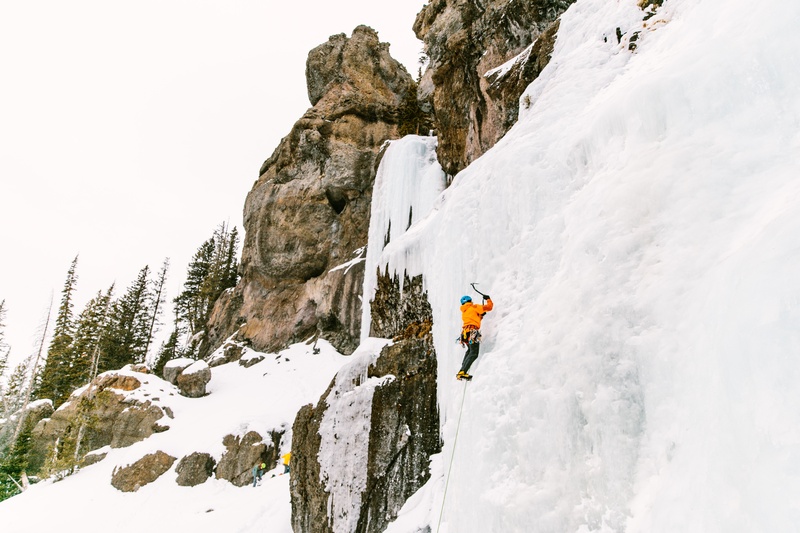 December 5-9, events start at 12 p.m.
Bozeman is known for it’s awesome ice climbing, so what better place for an ice festival? Professional and aspiring climbers will love the clinics, Adventure Film Festival, gear swap, and Après-climb gatherings with Bridger Brewing. Saturday, December 8-9, 7:30 p.m. and 2:30 p.m. The Bozeman Symphonic Choir, with soprano Clarissa Lyons, bring you the playful performance of Gloria along with other original holiday classics. December 22, 9 a.m. - 12 p.m.
Stock up for your holiday dinners with fresh greens, root vegetables, herbs, baked goods, local meats and handmade preserves. Your taste buds will love you—and you get to skip the busy grocery stores! What started out on Broadway, this classic musical has since captured the hearts of people in small theaters throughout the country. The live, 20-piece orchestra is a special treat. December 30, starting at 4 p.m.
A Bridger Bowl tradition, the day BEFORE New Year’s Eve, this torchlight parade is a great way to send off 2018 with a smile and welcome in the new year. There will be live music, lots of food, the beautiful torchlights and a fireworks display! 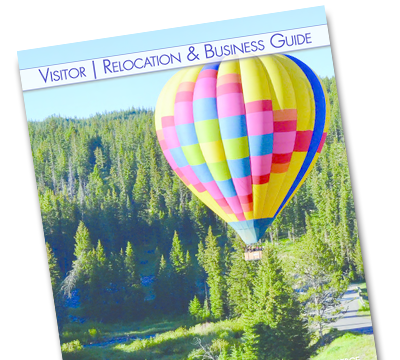 For more events around town, go to bozemancvb.com. What Makes The Holidays So Special In Bozeman?